Partners: Sponsor, Private and Knowledge - De website van harrie-bastiaansen! CIENA gives support to the Global Future Internet Research Infrastructures with 100 Gb/s connectivity equipment and supports secure massive network data transport developments utilizing software defined networking and virtualisation (WP2). 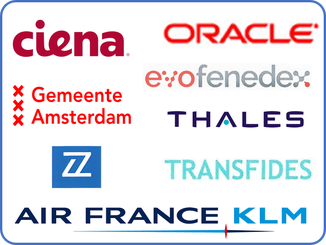 Air France KLM supports the project with in kind hours and the KLM Field Lab (WP2, WP4.2). They will involve also other parties from the Schiphol freight community, like Cargonaut. Thales will take part in the definition and realization of secure digital marketplace framework (WP2). BiZZdesign provides an architectural - and process modelling tool for description of the blueprint (WP3). Oracle Nederland BV is an IT-provider with a strategic involvement in logistic business cases on smart trade & logistics. They will provide valuable input in WP4.1. Transfides is a logistic service provider with an innovative product (app for bundling of cargo) in the market. EVOfenedex is the Dutch community of shippers. They will represent and mobilise this part of the logistic communities. University of Amsterdam (UvA) is a Dutch public university in Amsterdam, the Netherlands. The UvA Systems and Networking Lab conducts research on leading-edge computer systems of all scales, ranging from global-scale systems and networks to embedded devices. 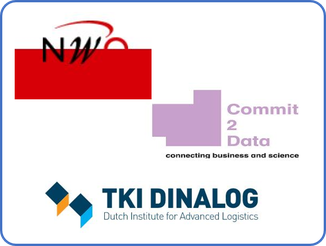 TNO enables business and government to apply knowledge in the Netherlands. 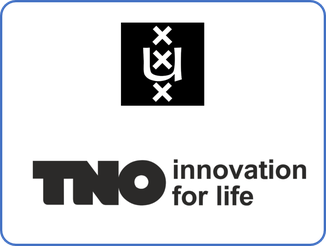 As an organisation regulated by public law, TNO is independent: not part of any government, university or company. The TNO ICT-Unit has the ambition to help its clients to achieve complex digital transformations, using its knowledge of technology, policy and business models.